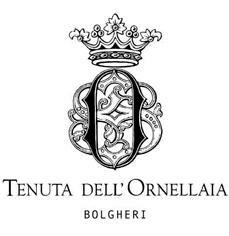 Tenuta dell'Ornellaia was established by Marchese Lodovico Antinori of the Antinori family, behind one of Italy's most historic negociant firms, with the help of winemaker Tibor Gál. The property is adjacent to Tenuta San Guido, producer of Sassicaia which is considered the seminal "Super Tuscan", and Ornellaia has been suggested to be Lodovico Antinori's competitive answer to his cousin Nicolò Incisa's Sassicaia, and his older brother Piero Antinori's Solaia. The vineyards of the estate were planted in 1981, producing the first vintage in 1985. A modern winery was built in 1987, and a second 56-hectare (140-acre) property was later added, Bellaria, situated north of Bolgheri. Robert Mondavi Winery took a minority interest in the estate in November 1999, and were full owners by 2002, while initiating a partnership with the Frescobaldi family. In April 2005, Frescobaldi bought the remaining 50% shares of Ornellaia from Constellation Brands after their acquisition of Mondavi holdings, coming to own the whole estate. Axel Heinz is the current winemaker with Michel Rolland, involved with the estate since its beginning, is retained as consultant oenologist. The sequence of ownership is featured in Jonathan Nossiter's film Mondovino and documentary series of the same name, which contain statements by Lodovico Antinori, and the Frescobaldi and Mondavi families then joint owners during the time of production, which displays opposing accounts on the events. James Suckling 98 The blackberry and blueberry aromas with fresh sage and bay-leaf character are impressive. Stone, graphite and mineral undertones. Full body and silky and refined tannins. Dusty. Elegance and polish. Shows greatness in strength and refinement. A dialed-in, dialed-back Ornellaia. Wine Advocate 89"The 2009 Le Volte is a pretty, radiant wine laced with expressive bright fruit. It shows the generous, inviting nature of the year in its open personality. The 2009 is 50% Merlot, 30% Sangiovese and 20% Cabernet Sauvignon. Anticipated maturity: 2011-2016."